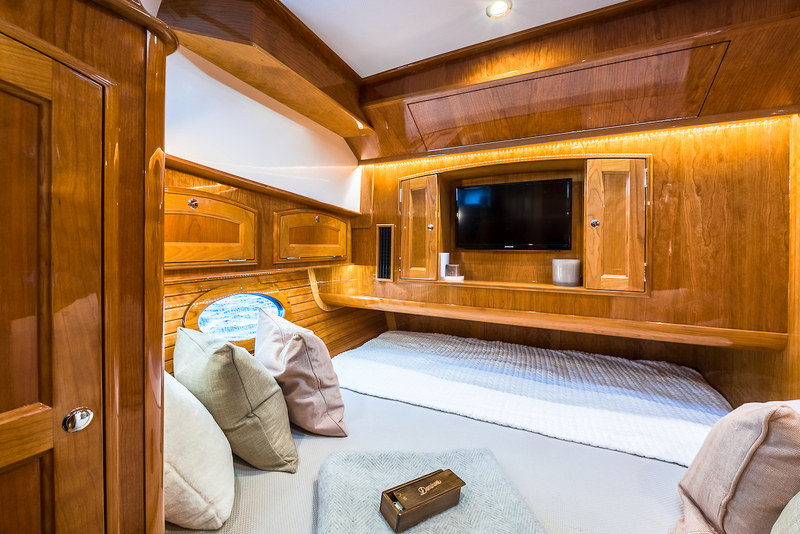 The Talaria 48 MKII brings the galley up into the salon in a thorough redesign of the social experience. 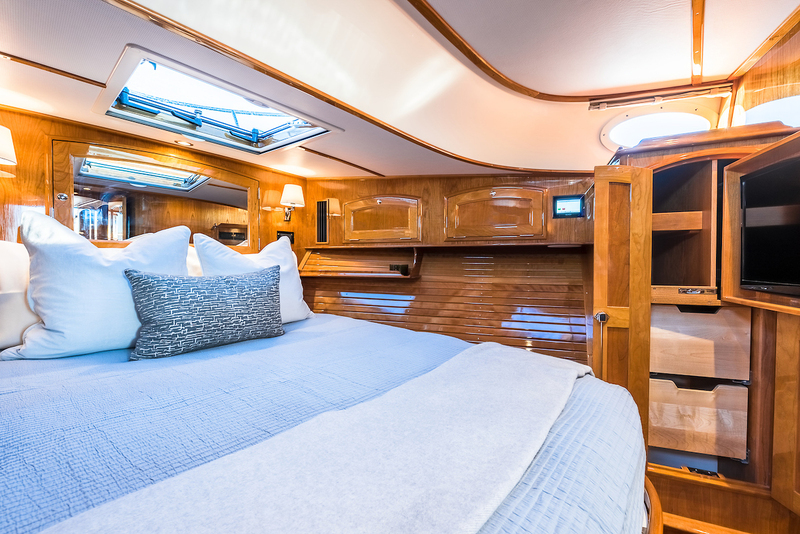 The unmatched interior has been further updated with ample storage, a larger master head, and more for a truly comfortable cruiser. 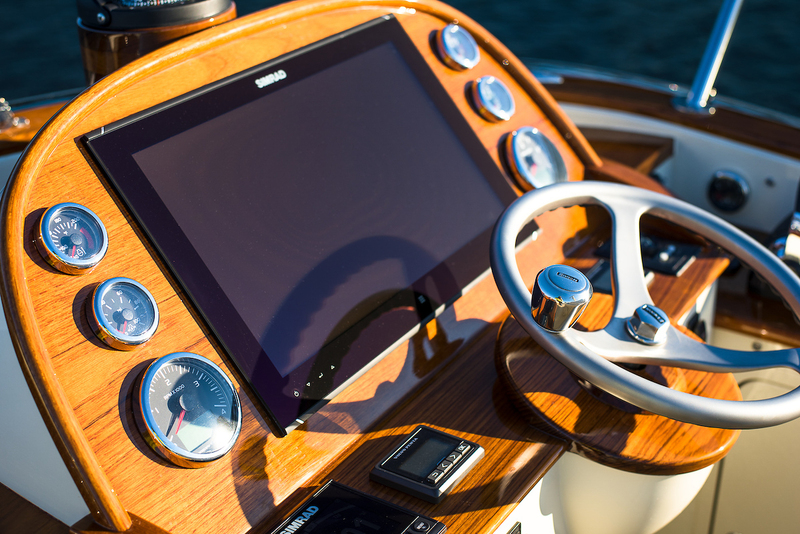 One of the most advanced control and command systems available, the Talaria 48 MKII introduced Jetstick 3 which brings military grade GPS hardware and digital processing to a thrilling driving experience. 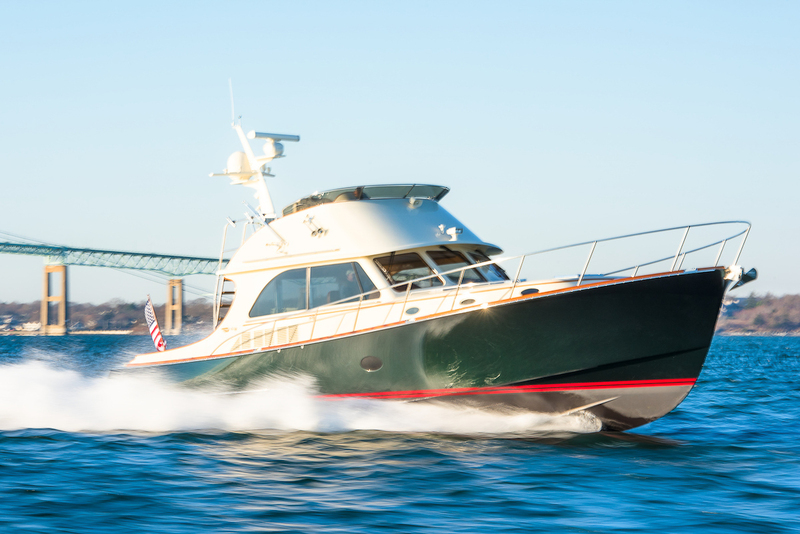 An obsessively engineered hull design delivers sport car handling underway. 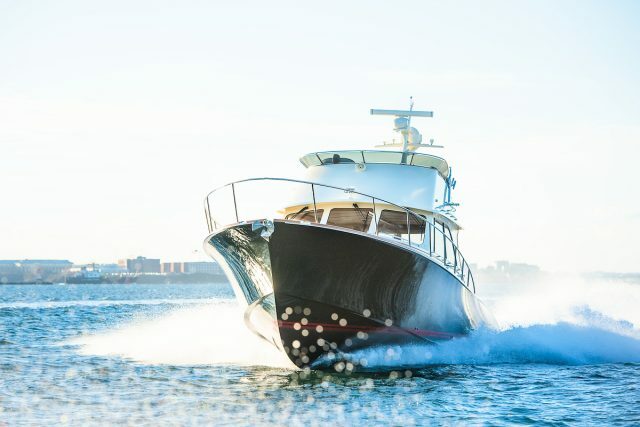 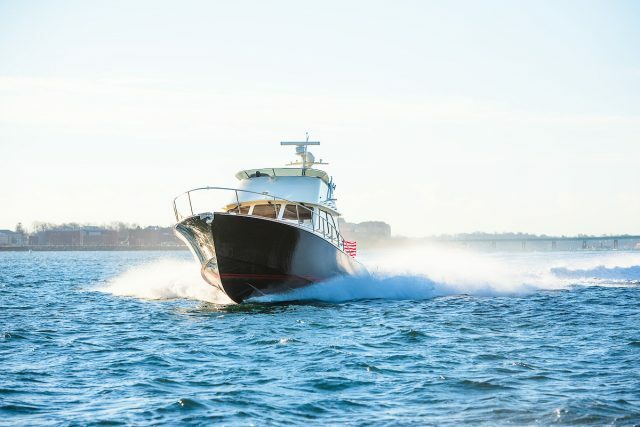 A single infusion of carbon, Kevlar and epoxy results in a hull that is virtually bulletproof for unparalleled seakeeping that maximizes fuel efficiency. 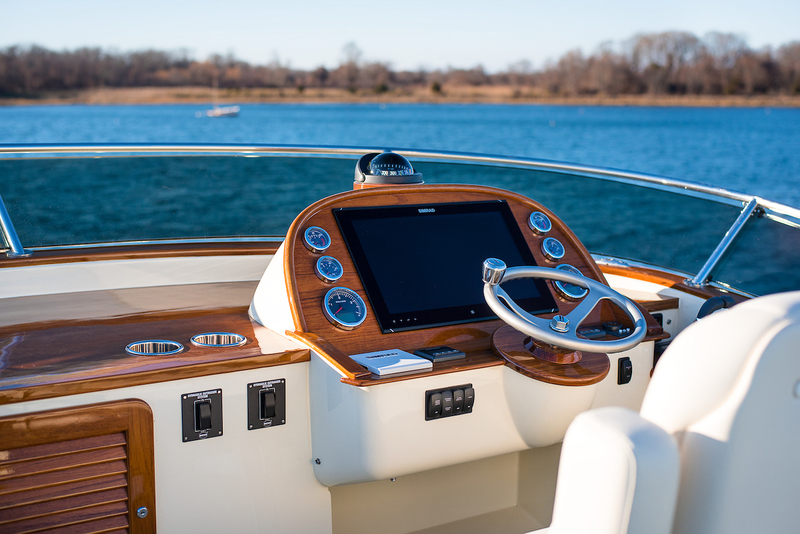 Hinckley’s newset joystick system, the Jetstick 3, optimizes the most advanced technology available for simple functionality aboard. 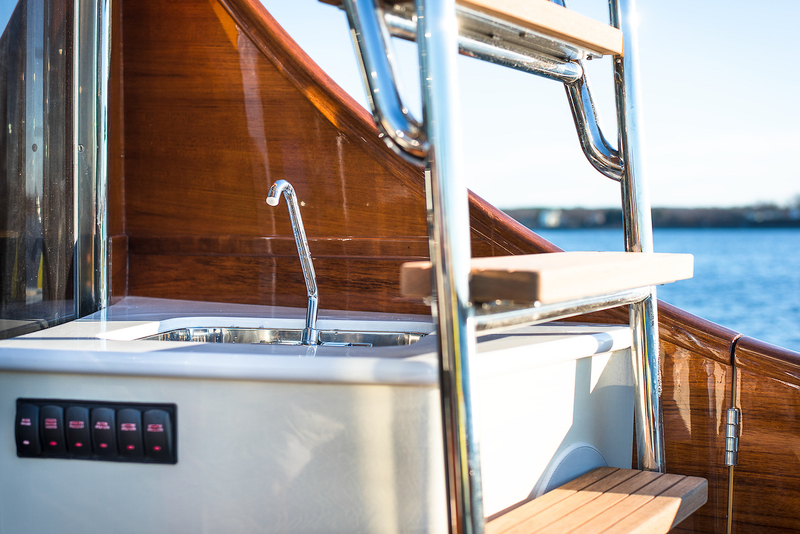 At the touch of a button, drop a virtual anchor to hold position anywhere in the world. 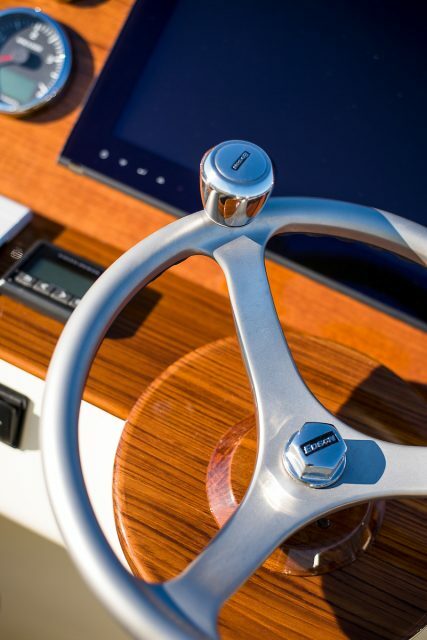 Integrated dynamic steering uses fly by wire technology to communicate with military grade intellinders. 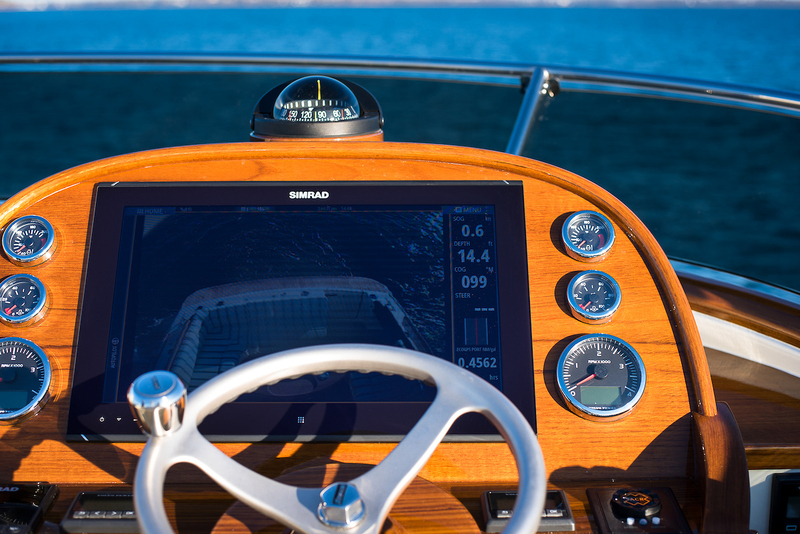 Hold your position or set a new course with the unsurpassed precision of Jetstick 3. 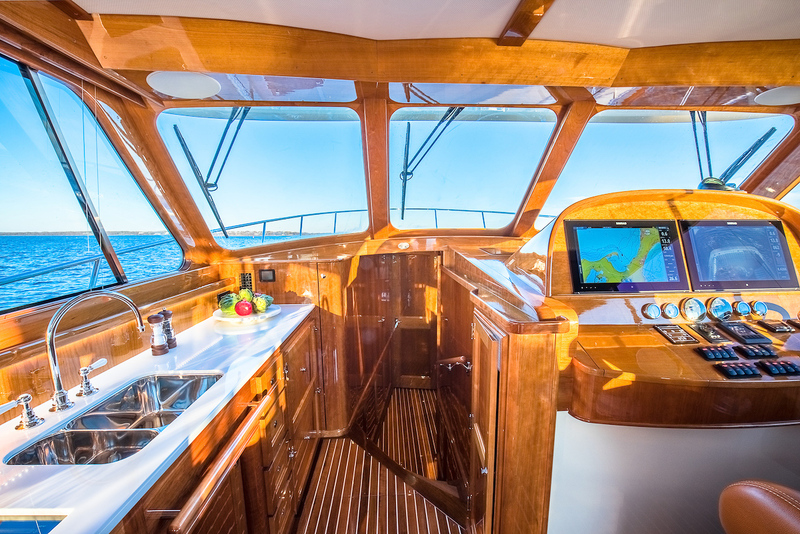 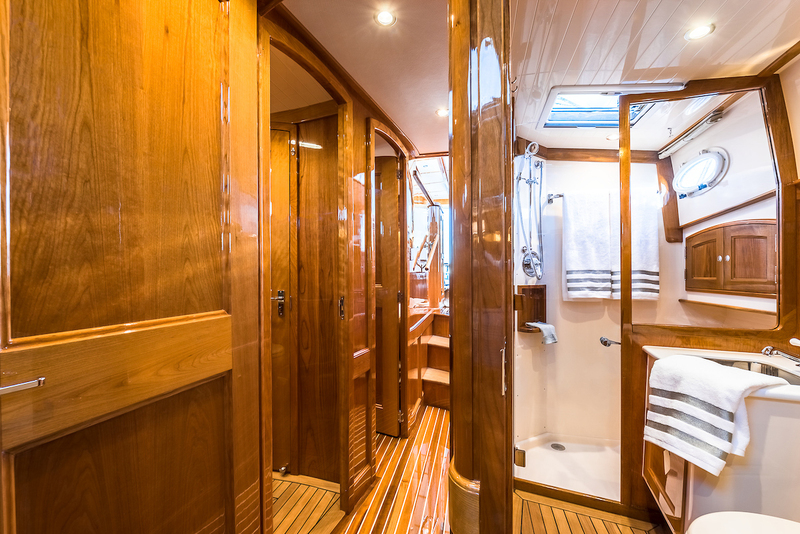 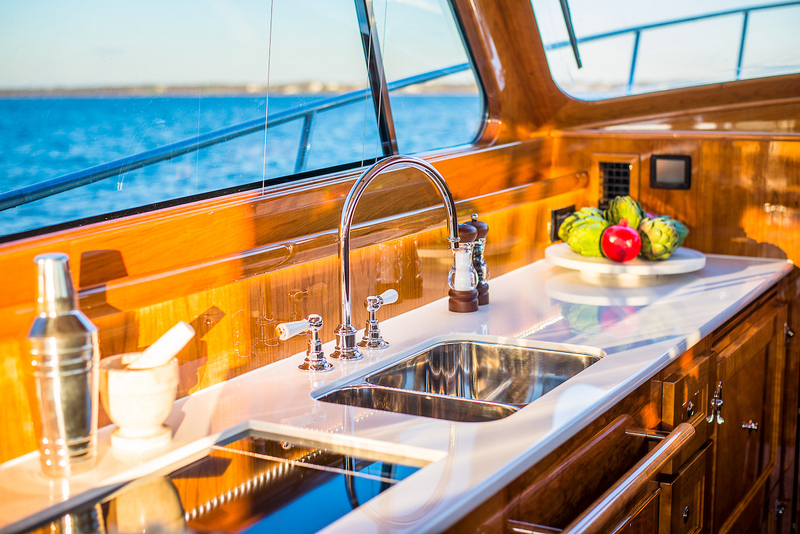 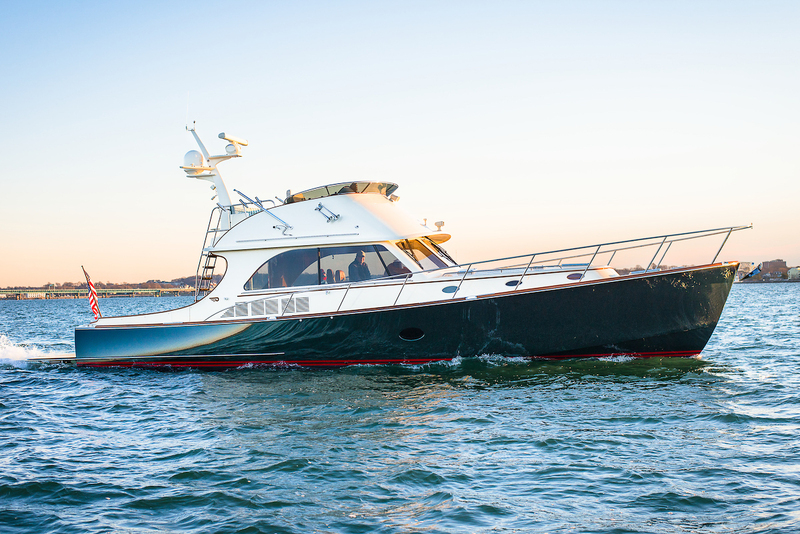 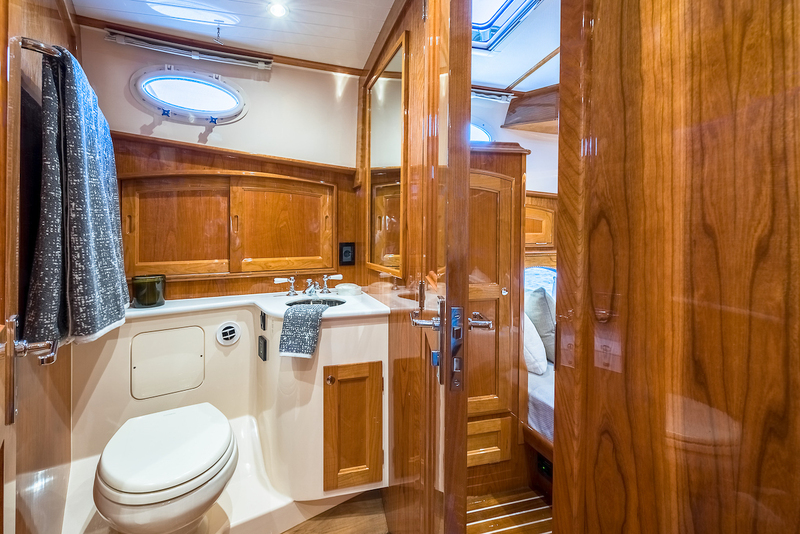 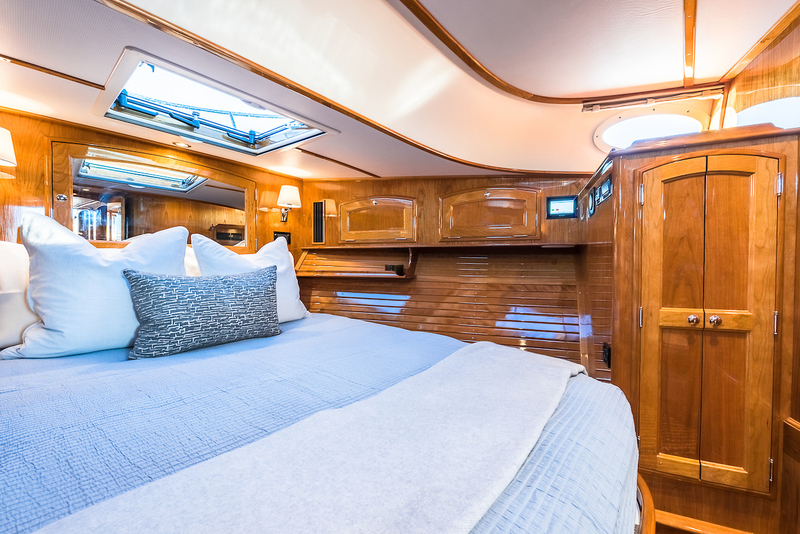 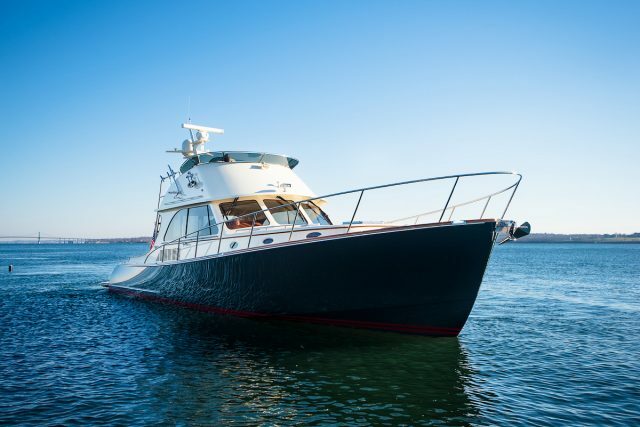 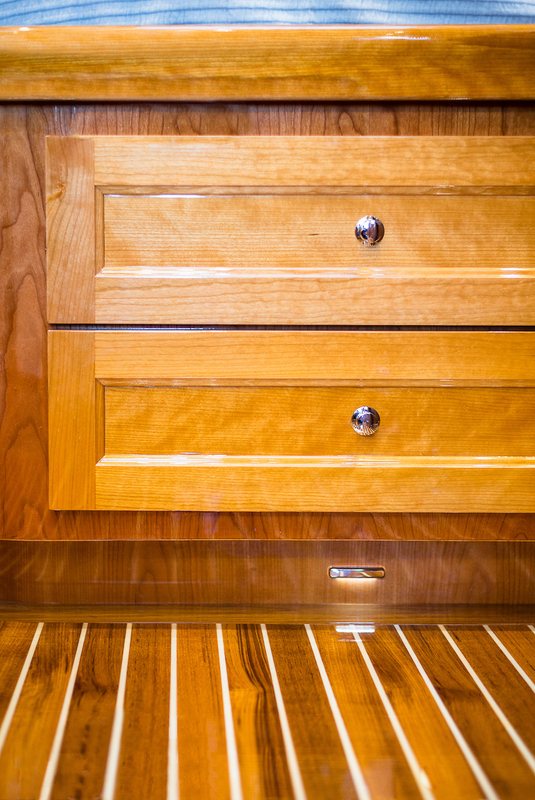 In a thorough redesign of the Talaria 48, the MKII brings the galley up, enhancing the social experience aboard. 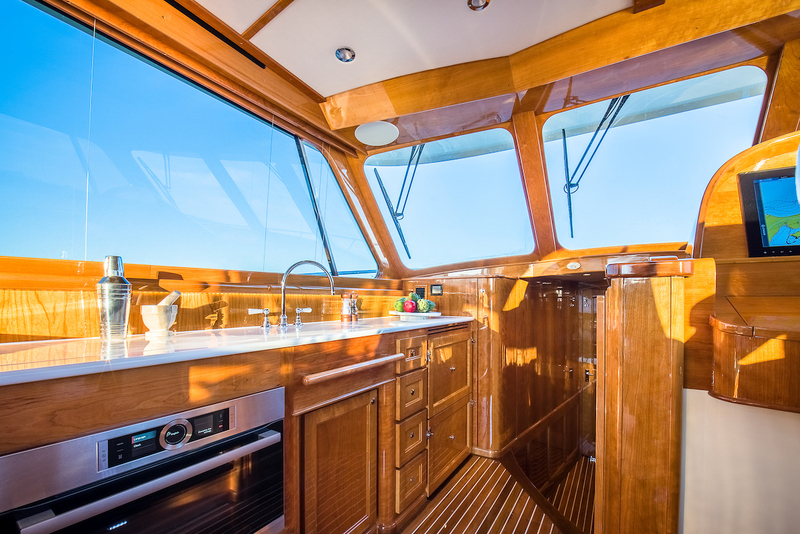 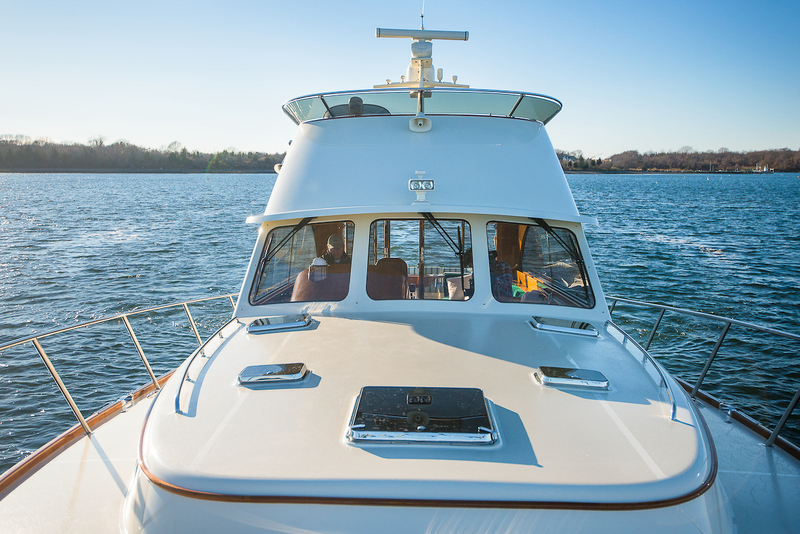 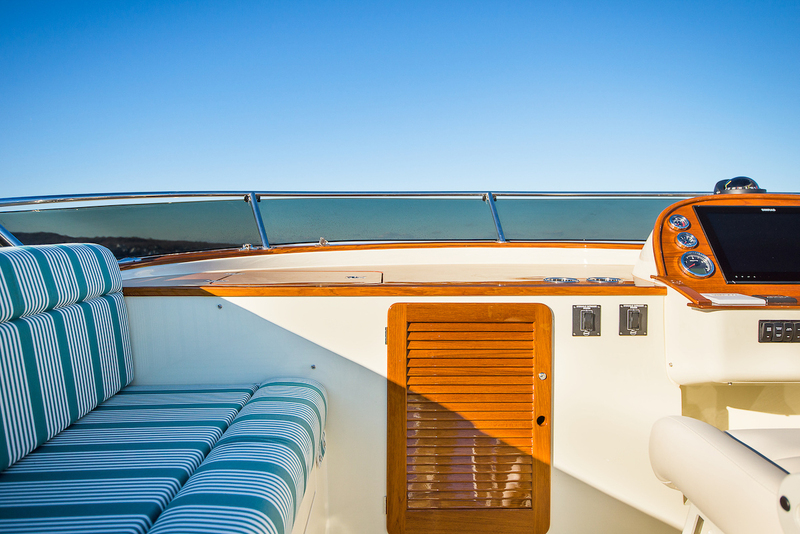 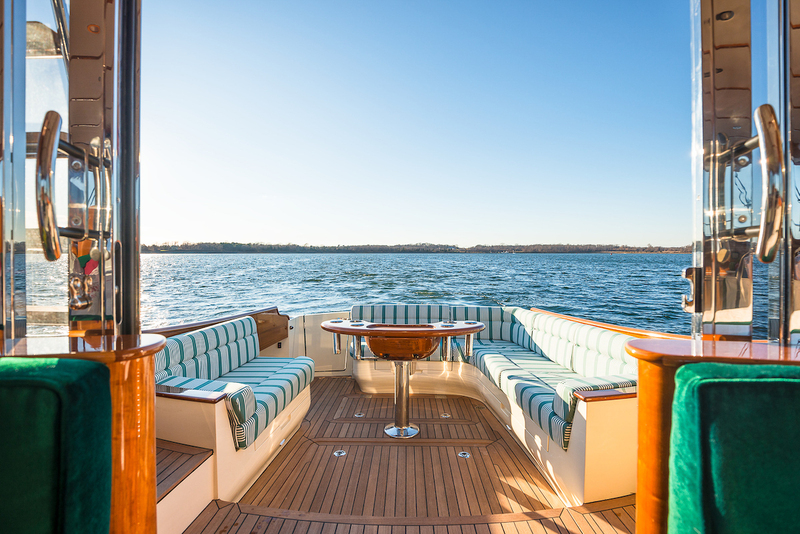 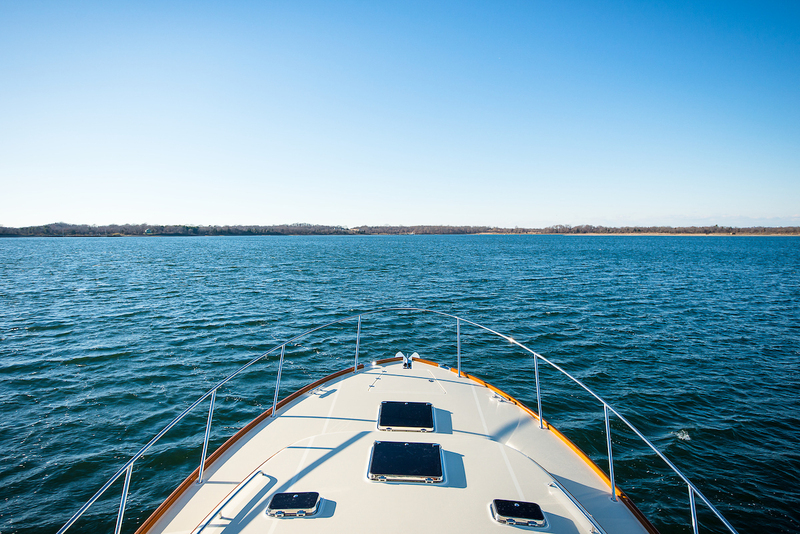 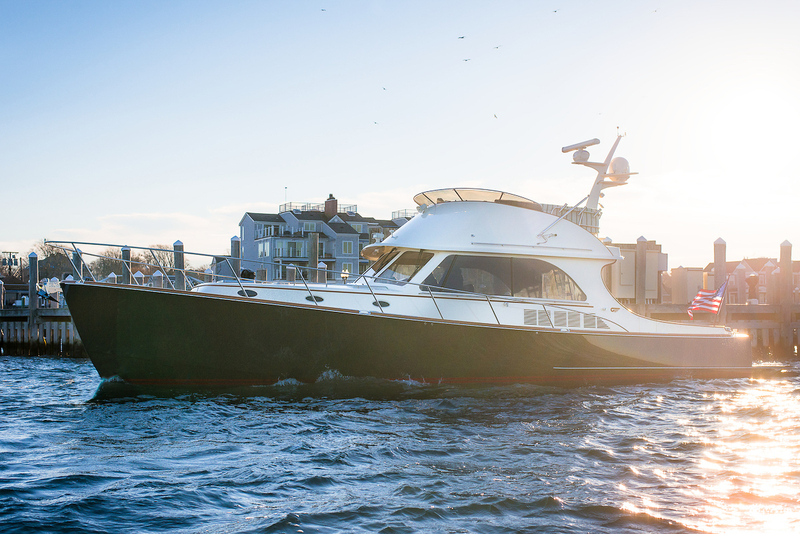 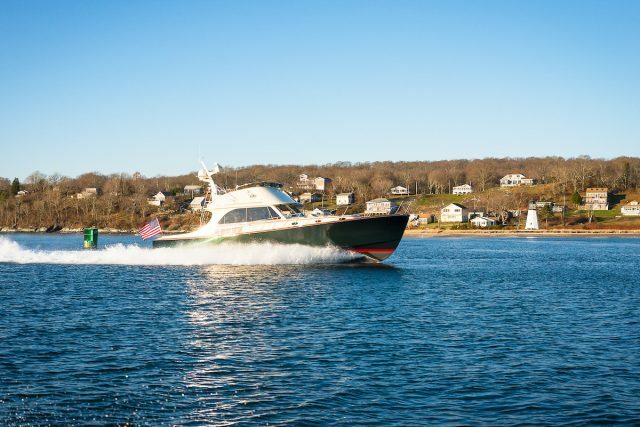 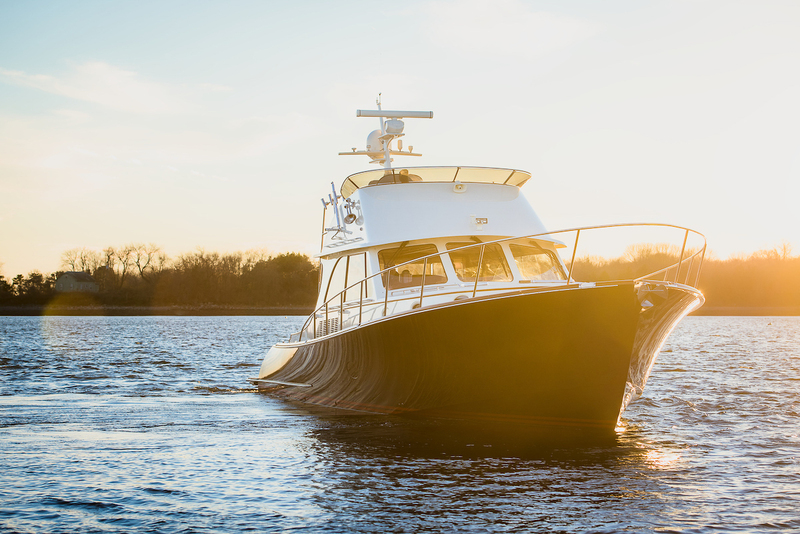 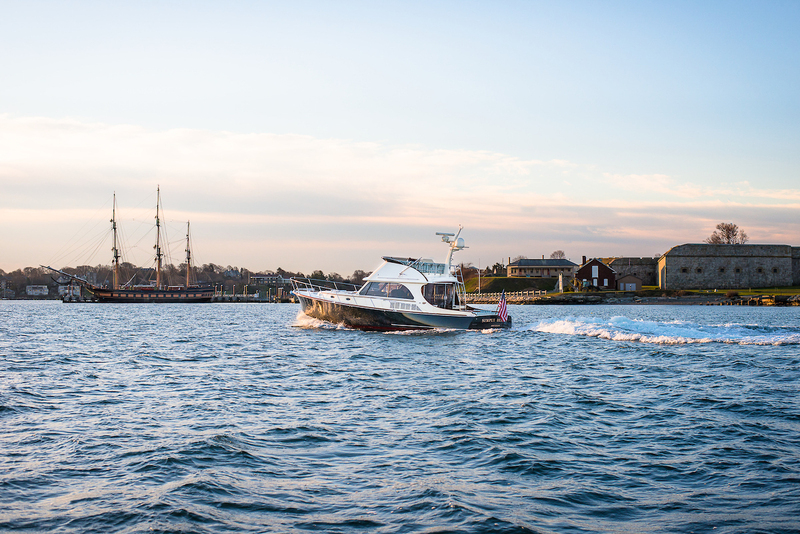 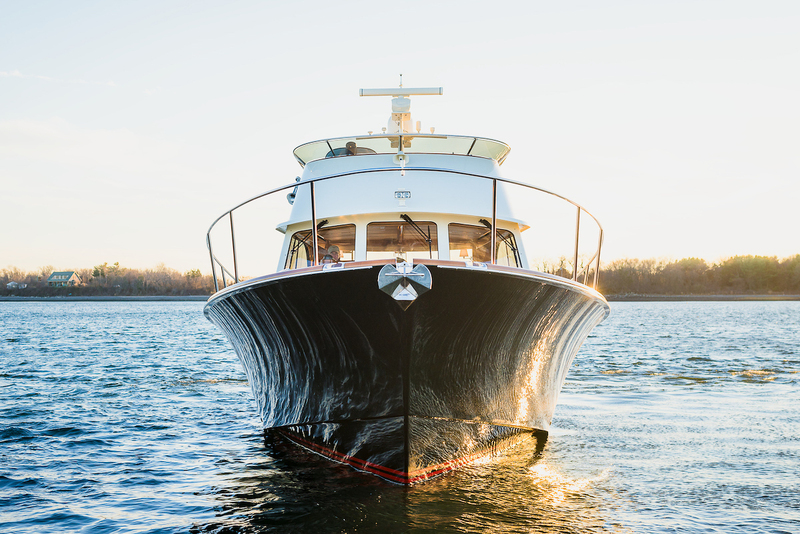 Panoramic views from the enclosed pilothouse make the experience on the water comfortable, even when the sun is too strong or the weather begins to turn. 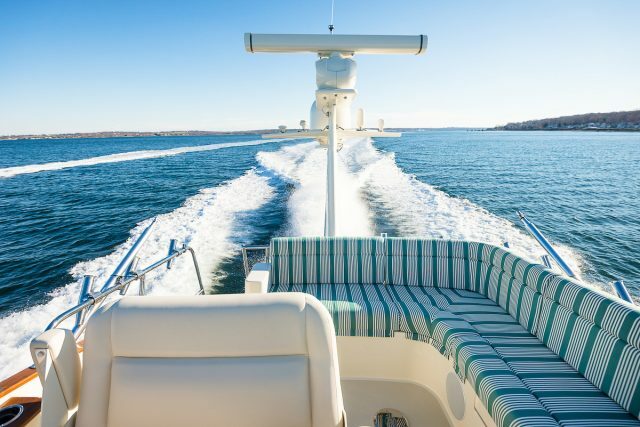 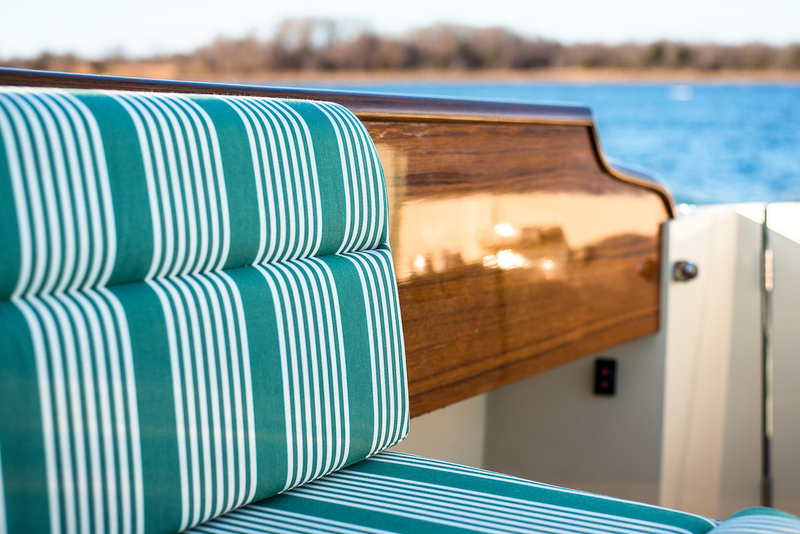 Spending time on the water should be easy and nobody makes it as easy as Hinckley. 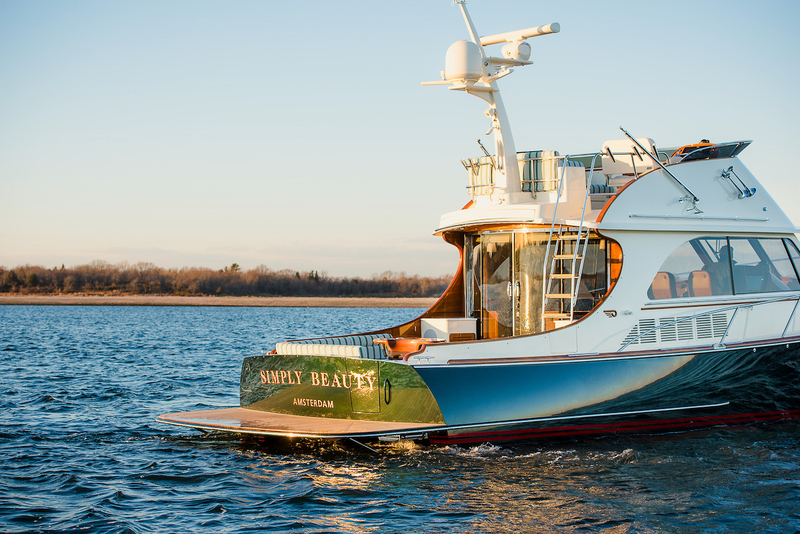 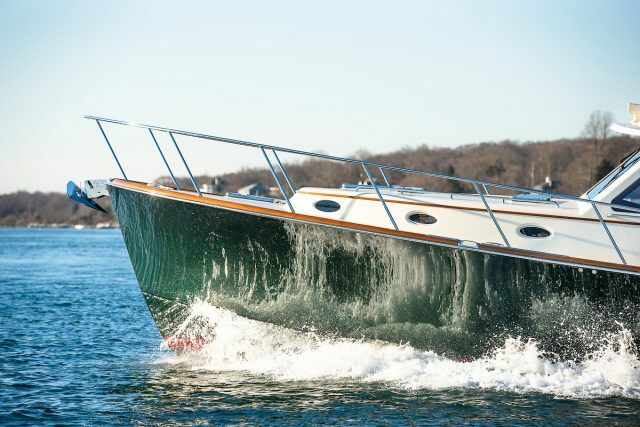 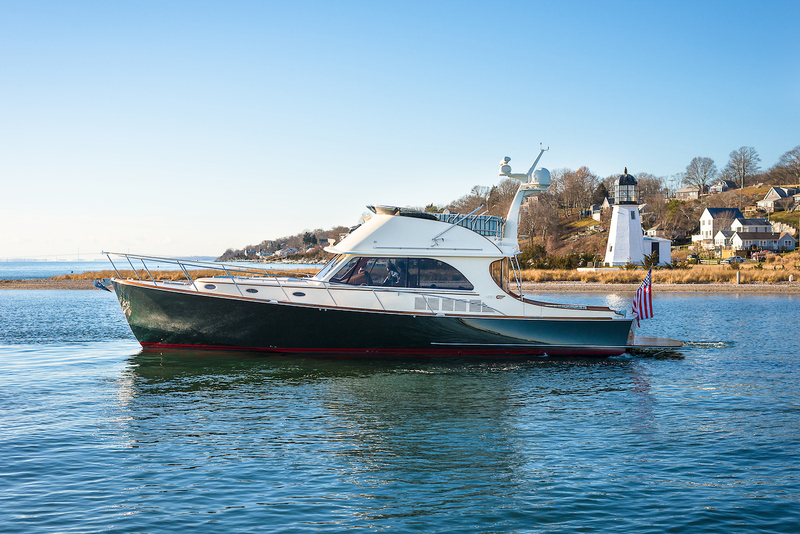 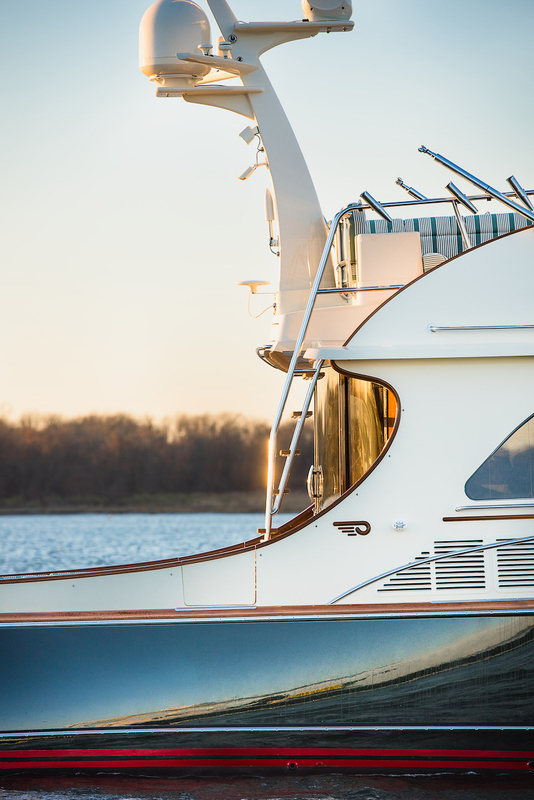 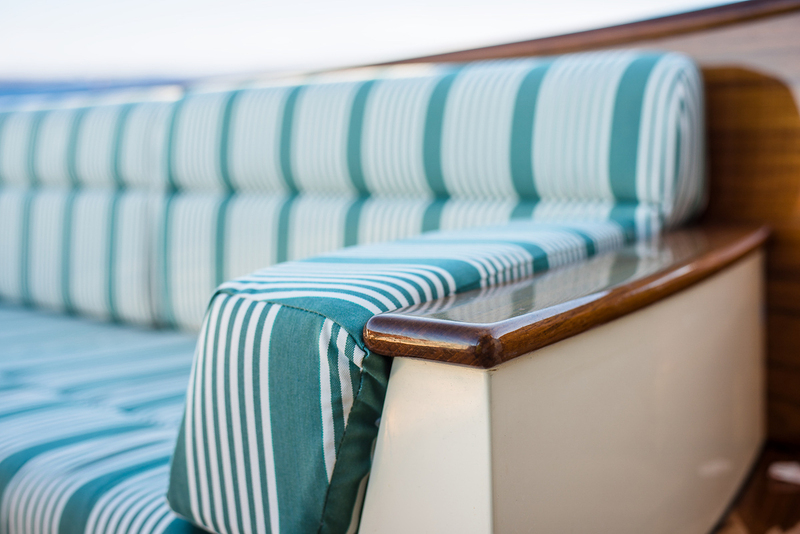 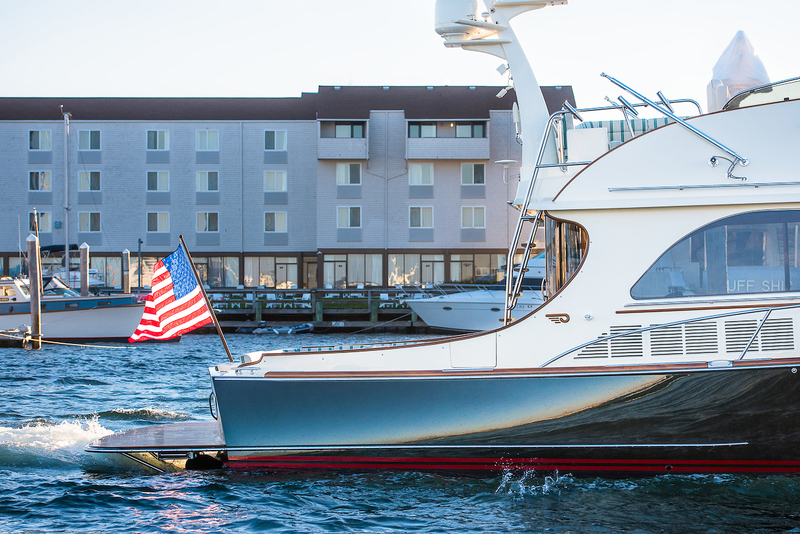 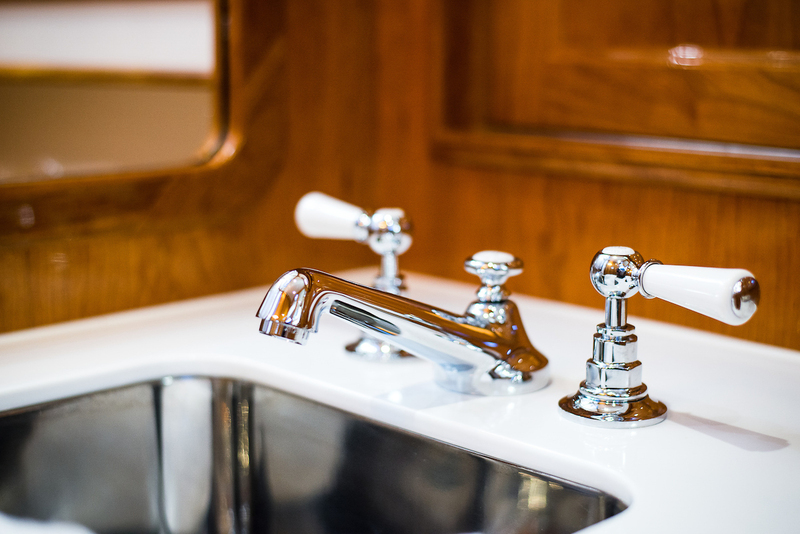 Designed from the hull up to deliver an easy operating experience, every inch of a Hinckley has been thoughtfully curated, obsessed over, and refined so that your time on the water is spent the way you like. 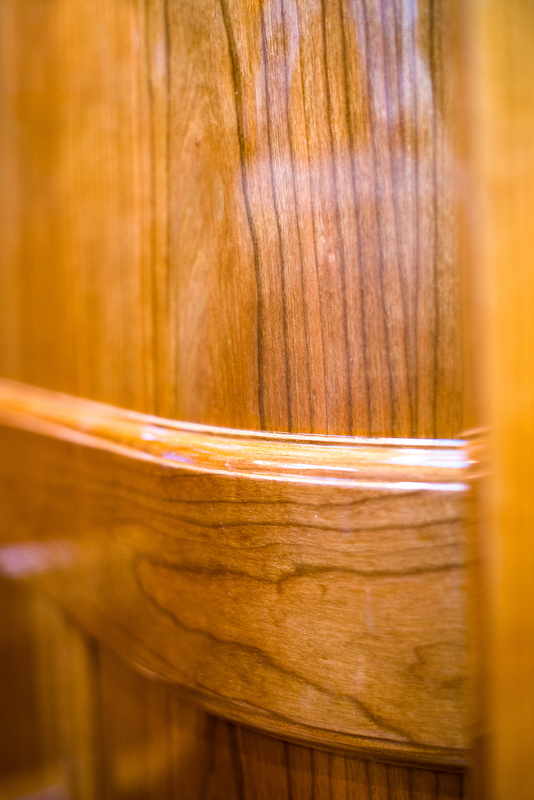 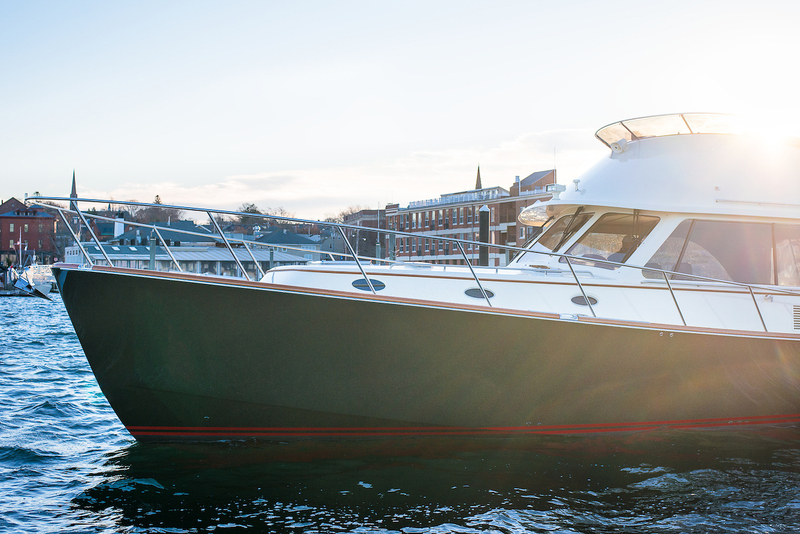 Only Hinckley owns and operates 9 service yards so that we’re there for you, no matter where the “there” is. 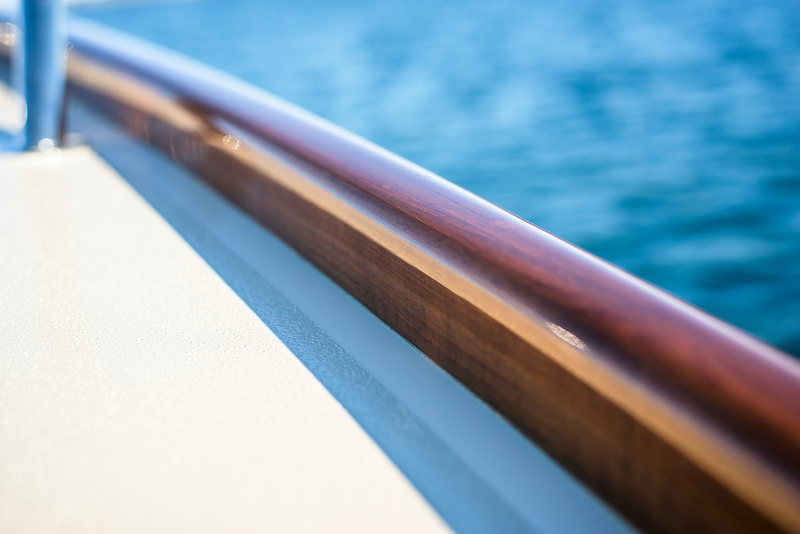 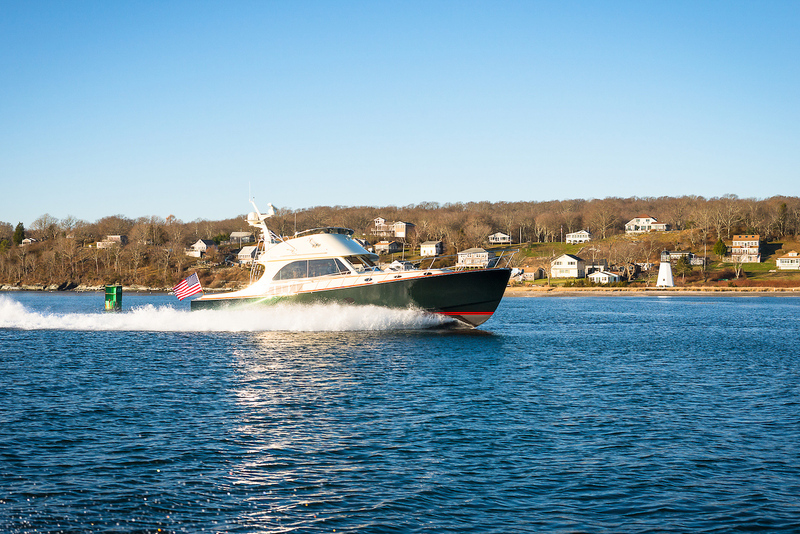 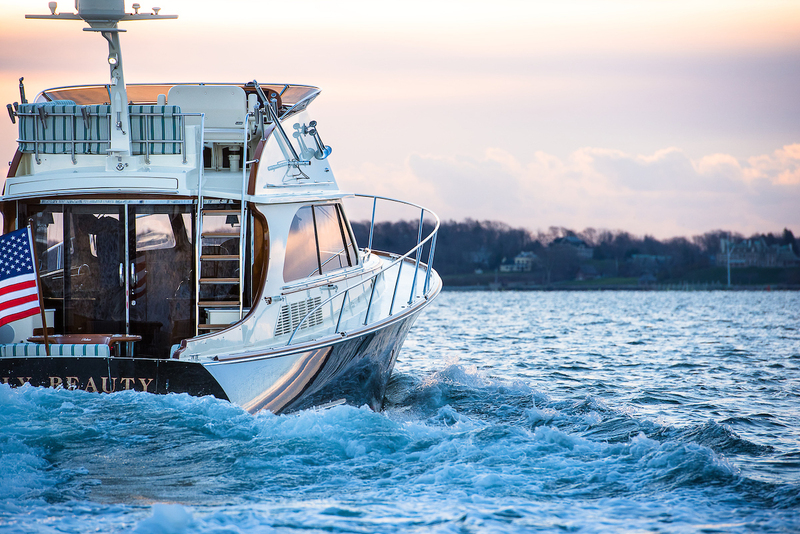 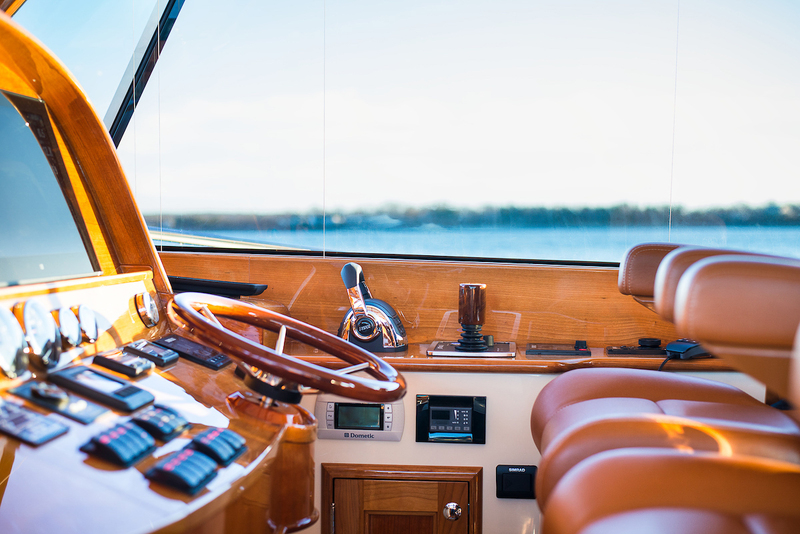 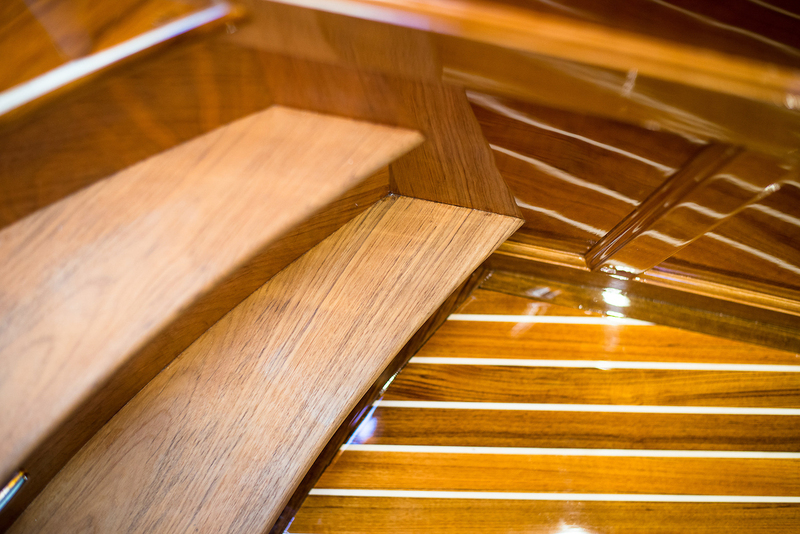 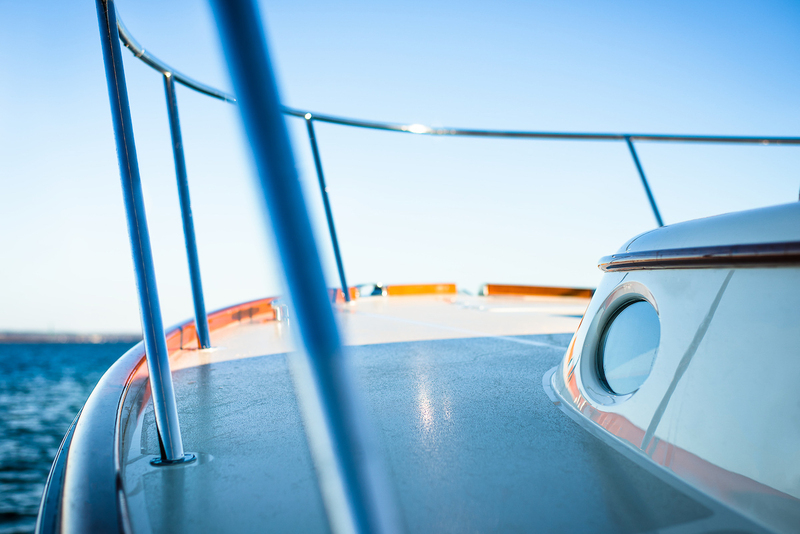 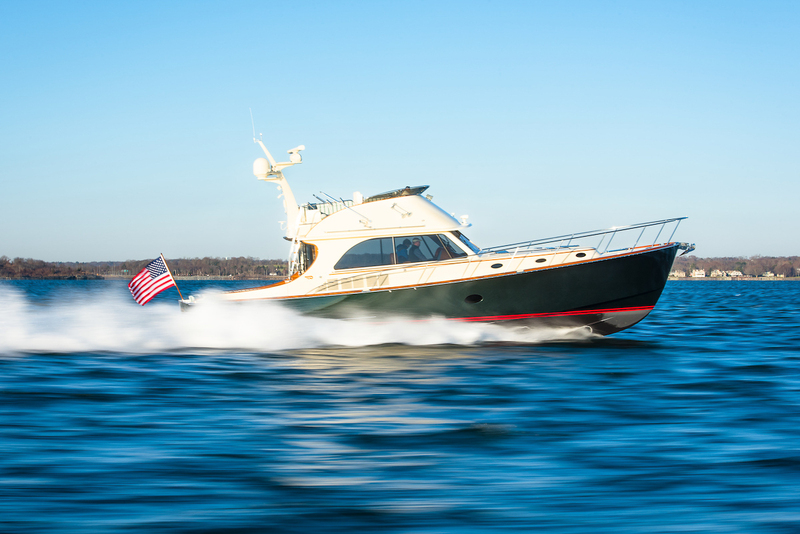 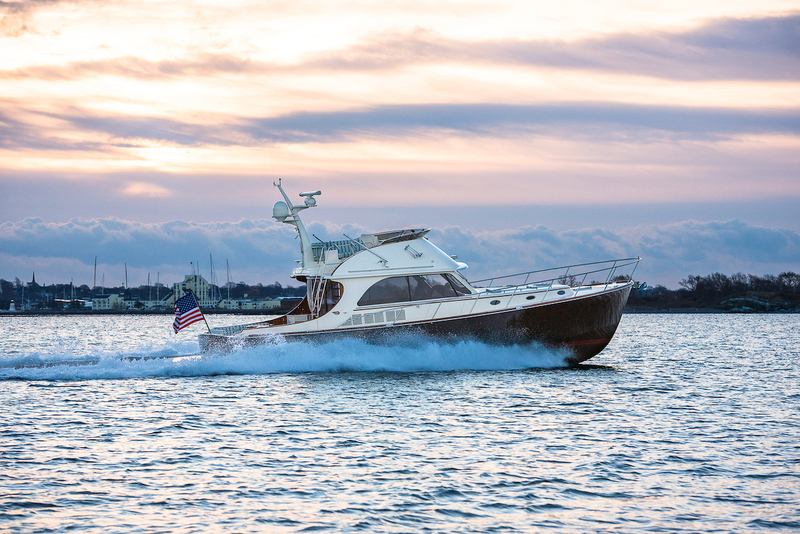 For the smallest question or moving your boat from New England to Florida, your dedicated Hinckley Yacht Service Manager is just a (personal cell) phone call away. 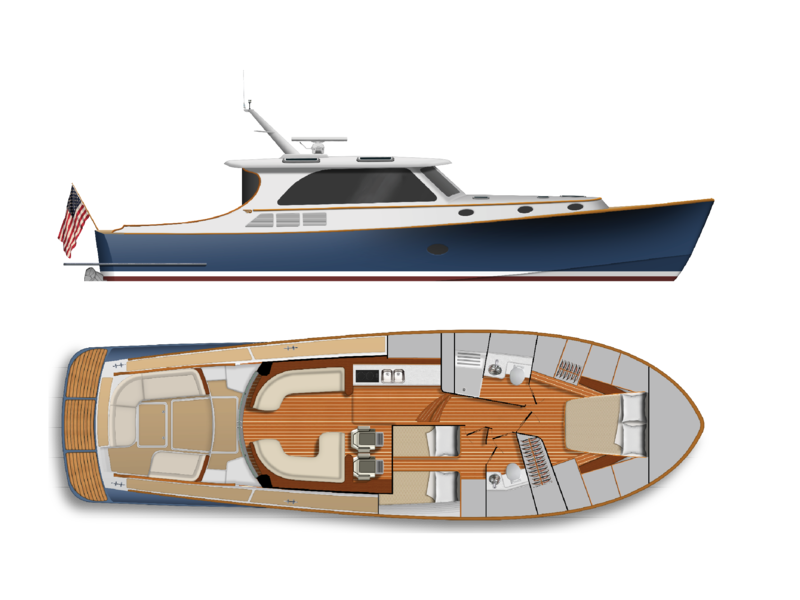 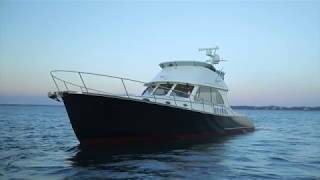 Specifications reflect a Motoryacht configuration, Flybridge specifications are available upon request. 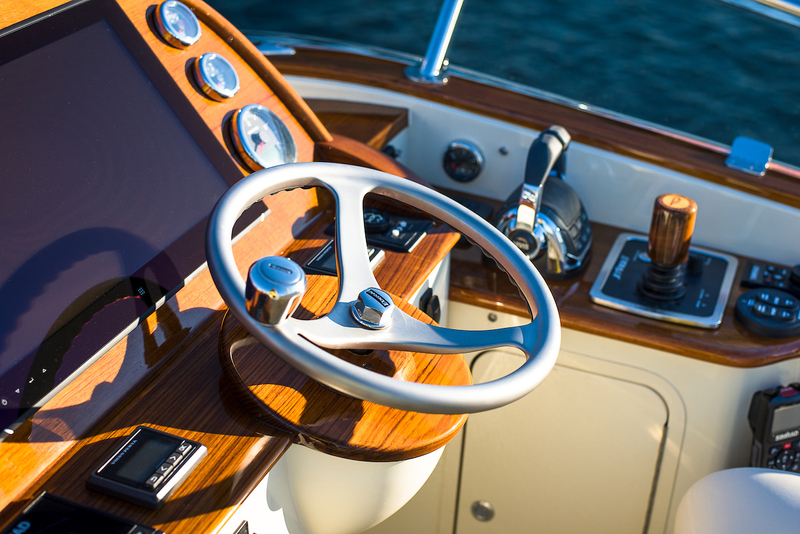 *All performance data is estimated and not guaranteed. Optional power and propulsion can be selected for speed up to 40 knots.